There are almost seven billion defecating people on planet Earth, but few who have any clue about how to constructively handle the burgeoning mountain of human crap. 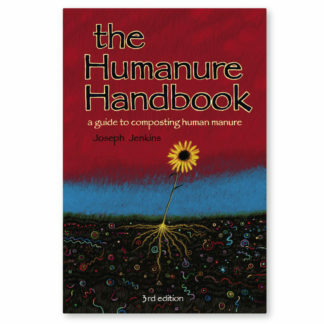 The Humanure Handbook, third edition, will amuse you, educate you, and possibly offend you, but it will certainly pertain to you–unless, of course, your bowels never move. The Humanure Handbook was something of an accidental literary phenomenon. Joe Jenkins began writing the book as a master’s thesis while attending Slippery Rock University’s Master of Science in Sustainable Systems program in northwestern Pennsylvania in the early 90s. Not content with academic convention, but fascinated with the topic of humanure composting, Jenkins decided to convert the book’s language into a popular format and self-publish the thesis as a book. Joe maintains a business in north western Pennsylvania (Joseph Jenkins, Inc.), where he resides on 143 acres with a large garden, an orchard, several family members, and a compost pile or two. 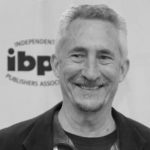 Jenkins speaks at various venues when time allows, provides consulting services and maintains his publishing business. Permaculture Principles Pty Ltd (ABN 126 220 100 84) United States Store. Visit our Australian Store for other titles & cheaper shipping options for outside the US.